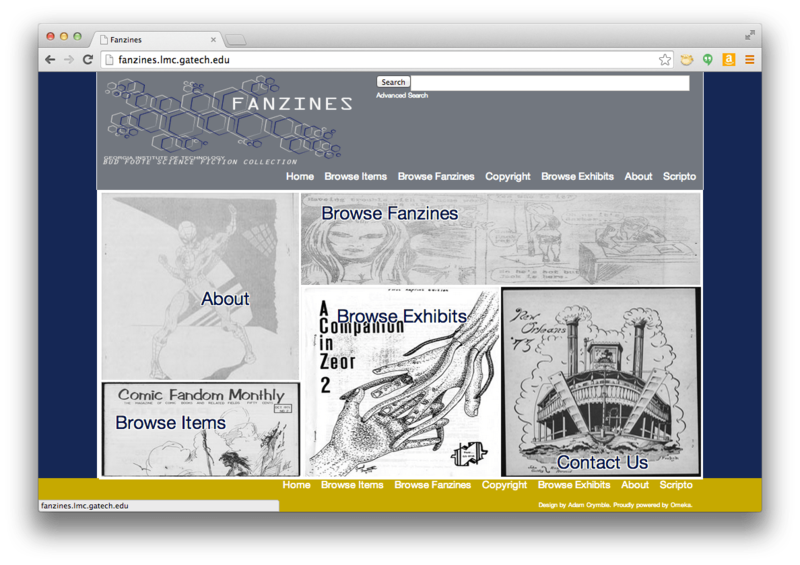 In conjunction with a course on archives and materiality and in consultation with the staff of GT Archives, students are working to create a public-facing digital archive of fanzines from the Bud Foote Science Fiction Collection here at Georgia Tech. View the archive in progress here. Contributors: Lauren Klein, Steve Hodges, Jody Thompson, Wendy Hagenmeier, and the students of LMC 3314 (2012, 2014, 2016).